Would you like to learn how to park? In this game you have such a great chance! Park your truck and drive through the office equipment. Be really careful and try not to fall down! Be sure that you will love this game! Have you ever dream to be the best driver? Now you have such a great opportunity! Your main task is to grab your remote control and get ready to drive this epic RC Car! It is not so easy as it seems to be at first! 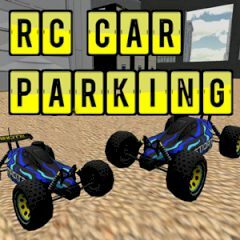 Can you maneuver, driving through each level and park in the parking spot without crashing? Be ready to play several amazing levels, where you need to park your little truck! Do you have the skill to complete all 10 levels of the office. Take care and try not to do a mistake! You will have a lot of fun!